Home Companies Shenzhen Besten Technology Ltd. The VAG5053 is a powerful, affordable handy scanner designed for all VW, AUDI, SKODA, & SEAT vehicles (supports CAN-BUS). It is small in size, robust in design, competitive in price & easy to use. This is a stand alone unit; it does not need a laptop to operate. The VAG5053 VAG CAN-BUS VW/AUDI Super Memo Scanner is designed to work with all VW, Audi, Seat & Skoda sold Worldwide manufactured from 1990 to the latest models, including those equipped with the next-generation protocol Controlled Area Network (CAN). New in box. 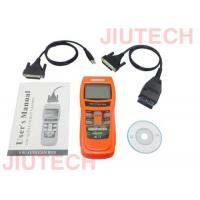 Includes: Scanner, OBD2 Cable, CD (DTC Codes), User Manual, Case. Keep your mechanic accountable, know your vehicles status before taking it to the shop. External power:10 to 15.0 volts provided by vehicle battery.